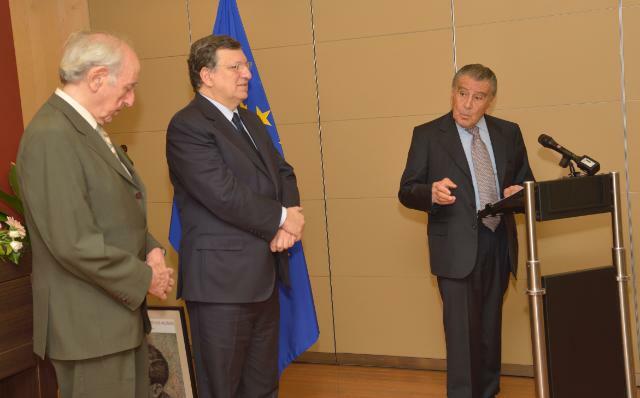 On March 4th, 2014, José Manuel Barroso, President of the European Commission, received the Raoul Wallenberg Centennial Medal. José Manuel Barroso and Eduardo Eurnekian. The medal was presented by Eduardo Eurnekian, Chairman of the Wallenberg Foundation, in the presence of the founder of the NGO, Baruch Tenembaum. Louise von Dardel, niece of Raoul Wallenberg, also attended the ceremony. 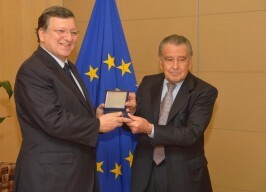 “Anti-Semitism and other forms of racism and discriminations have no place in European society and should indeed have no place in any society”, said the President of the European Commission, Jose-Manuel Barroso as he received Tuesday the Centennial Medal of the International Raoul Wallenberg Foundation Medal (IRWF) Award for his unwavering efforts in the field of human rights. Louise Von Dardel attended the ceremony. “As the President of the European Commission, I want to express you my cogent commitment to constantly and vigorously oppose the forces of Anti-Semitism and any other forces that are against minorities or that do no respect values of Human dignity.”, he added. 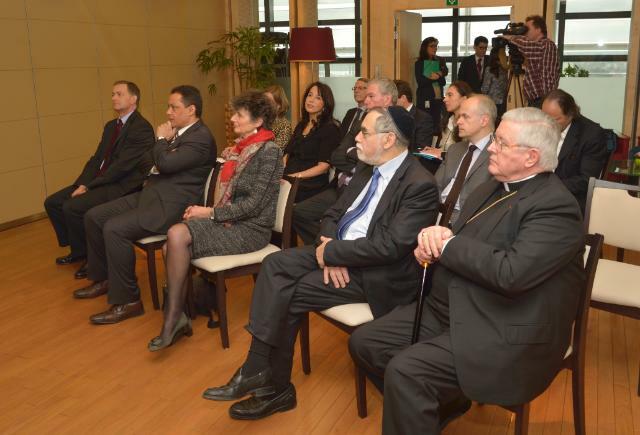 Baruch Tenembaum, José Manuel Barroso and Eduardo Eurnekian. Wallenberg was detained by the Soviet Army in 1945 and disappeared in their custody in suspicious circumstances. Whilst his actual fate remains unknown, his courage and humanity have inspired many. His legacy has been preserved by the International Raoul Wallenberg Foundation, which promotes the values of “solidarity and civic courage” through education and public awareness campaigns. “Raoul Wallenberg is a true hero and an example for all of us,’’ said Barroso, who praised those who helped save people during the Shoah, giving also the example of his compatriot, Aristides de Sousa Mendes, the former Portuguese Consul in Bordeaux who saved 30,000 lives during WWII, among them 10,000 Jews by issuing visas for safe passage to Portugal. Click below to watch the video of the ceremony.